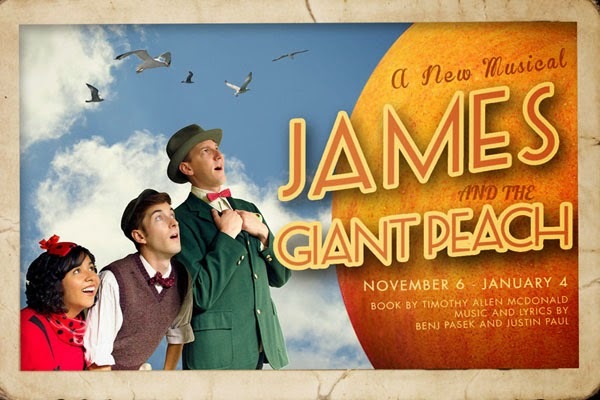 The Bay Area Children's Theatre presents a new musical inspired by Roald Dahl's classic tale, James and the Giant Peach. The book is about the orphaned boy who escapes from his wicked aunts aboard an enormous enchanted peach inhabited by a bunch of large bugs. Music and lyrics for this show are by the Tony Award-nominated team of Benj Pasek and Justin Paul, with the adaptation by playwright and educator Timothy Allen McDonald. The show is recommended for ages 4 and up, and the show is 90 minutes long with an intermission.